Immigrant: Any person who migrates to live permanently in another country. Refugee: The UN High Commission on Refugees defines refugees as people fleeing conflict or persecution. They are defined and protected in international law, and must not be expelled or returned to situations where their life and freedom are at risk. Refugees are identified and documented as refugees before they are relocated. Asylum Seeker: The UN High Commission on Refugees defines asylum seekers as someone whose request for sanctuary has yet to be processed. Asylum seekers may come into a new country through whatever means are possible, such as with a student or visitor visa or entering the country without inspection. 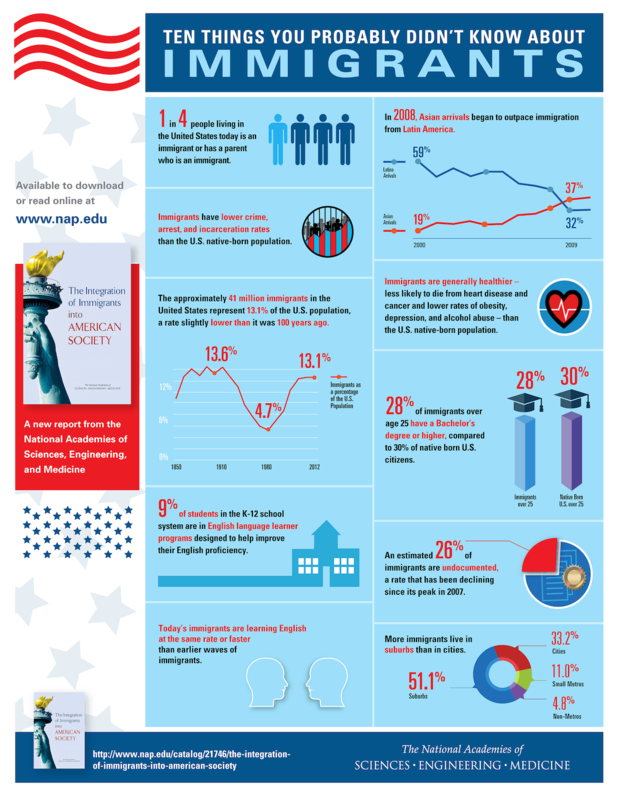 Undocumented Immigrant: An immigrant who lacks legal standing to live and work within their new country, either by entering without inspection or having stayed beyond the expiration date of a visa or other status. 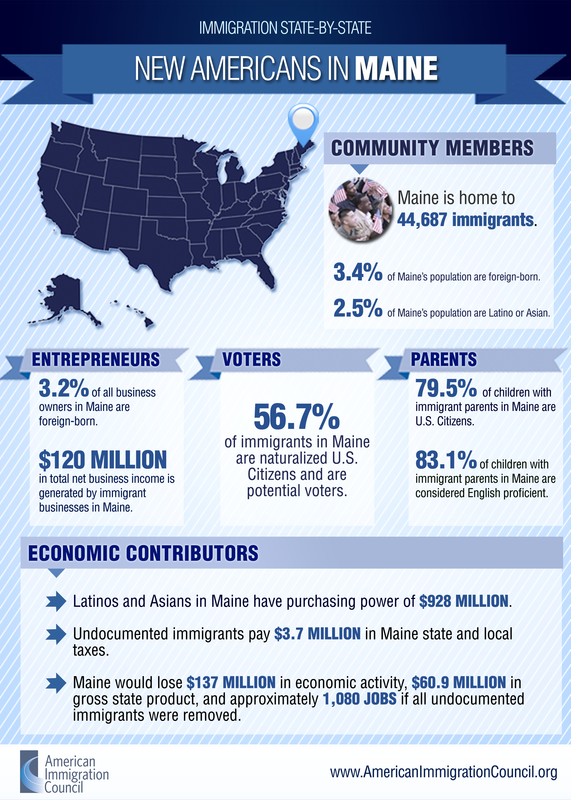 Infographic via American Immigration Council.